3: Music Philosophy Posters -- See the entire rad collection here. Maybe your favorite band is in the mix? I hope that you will all have a most beautiful weekend! LOVE the umbrella - the pic is too sweet! 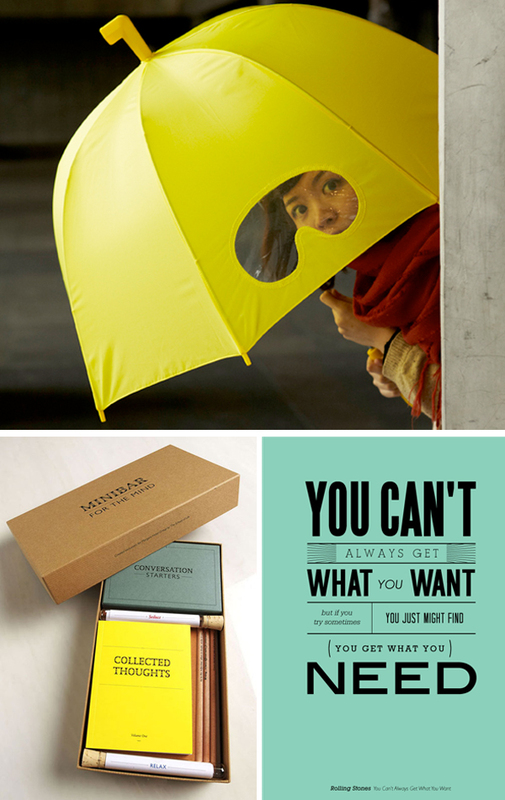 that goggle umbrella is super clever. great find! The yellow umbrella is so cute! That umbrella is the coolest thing ever!!! The brolly is so brilliant! Those posters are fab - my son would love some. Thanks for sharing! The umbrella is cool and so funny for kids!! The umbrella is super cute. I want one.. 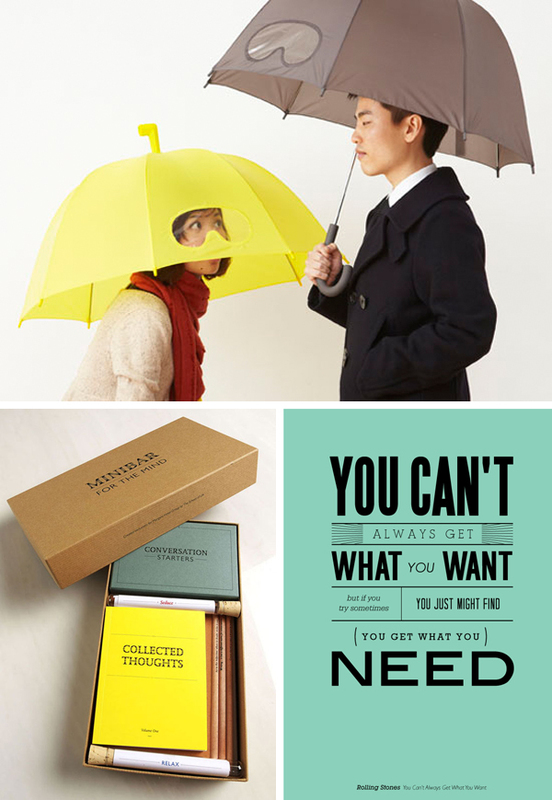 The yellow umbrella is a great gifts for kids. i just spent a good amount of time searching through the music philosophy posters - love them! Love the umbrella I think this is favourite for most:) have a great week. i could use a mini bar for the mind this Monday morning! loving those music philosophy posters! what a cool idea! I love the Minibar for the Mind! Just finished reading a book from the School of Life folks- The Pleasures & Sorrows of Work. Totally recommend it!